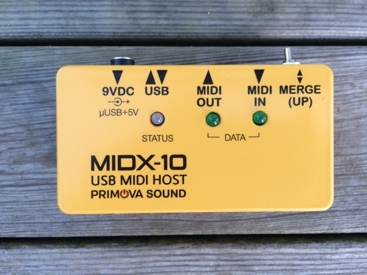 * 5-Pin MIDI with any Katana, MS-3, GT-1, GP-10 or GT-001. Now it's possible!!! 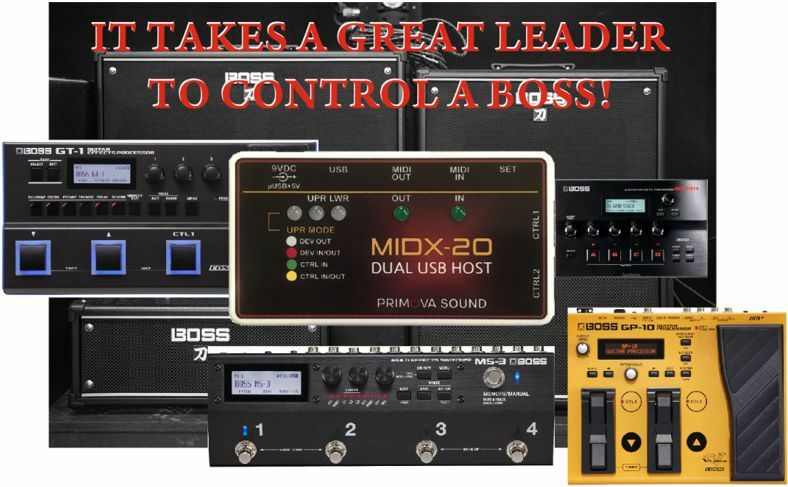 * Add two more Expression pedals/Dual footswitches and express yourself using MIDI. Use your your favourite FOOT controller. Connect to your favourite 5-Pin External Synth or iPad Soft Synth. 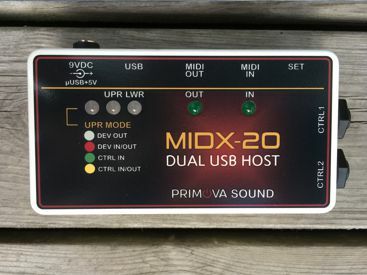 Also compatible with any MIDI compliant devices/controllers. Most noted effect on GR-55, VG-99 with Piezo guitars. 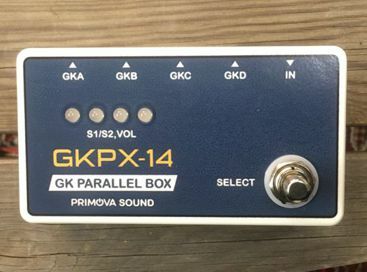 Very small and affordable 4 GK parallel box allowing you to connect up to four Roland synths to your GK guitar. Full control of VOL and S1/S2 routing. Can be used as synth unit selector. 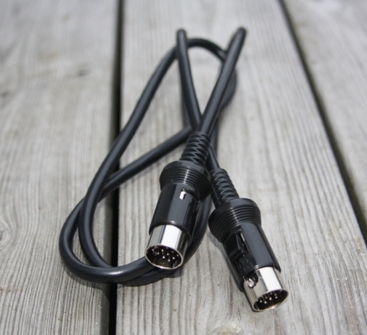 Roland GK compatible 13-pin cable. Gold plated with locking contacts. Great Quality - Great Price !!! 13 wire straight through 28AWG+AL+braid (64 bare copper). Contact us for availability (things come and go) All Payments using PayPal. World-wide shipping. Primova AB (Ltd) started in 2007 and is primarily a Swedish software consulting company. Use your your favourite FOOT controller. Connect to your favourite 5-Pin External Synth or iPad Soft Synth. 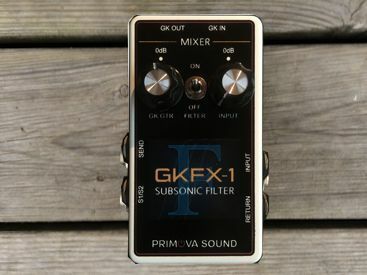 Compatible with any Roland/BOSS USB Device as well as any MIDI compliant devices. 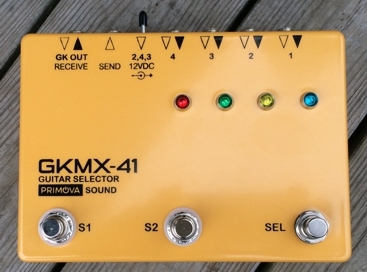 Compact stage-ready 4 GK or regular guitar switcher. 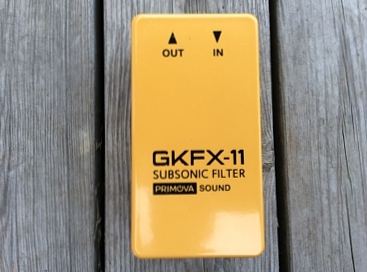 Perfect companion to a Roland GR-55/VG-99 or Boss GP-10. If a regular guitar is switched in, you may still change patch using the S1/S2 footswitches. 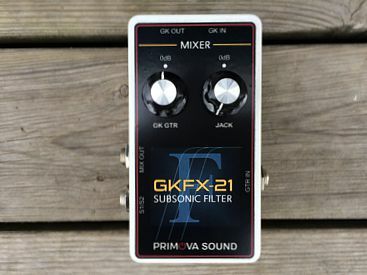 Small stage-ready 4 GK or regular guitar switcher with an integrated Roland US-20 A/B Unit selector functionality. 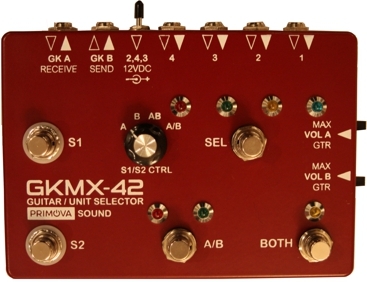 Perfect if you have two synths or plan to add one more to your rig in the future.